A lengthening line for U.S. investor visas suggests that affluent Chinese nationals see them as a good deal. It’s no bargain for America. 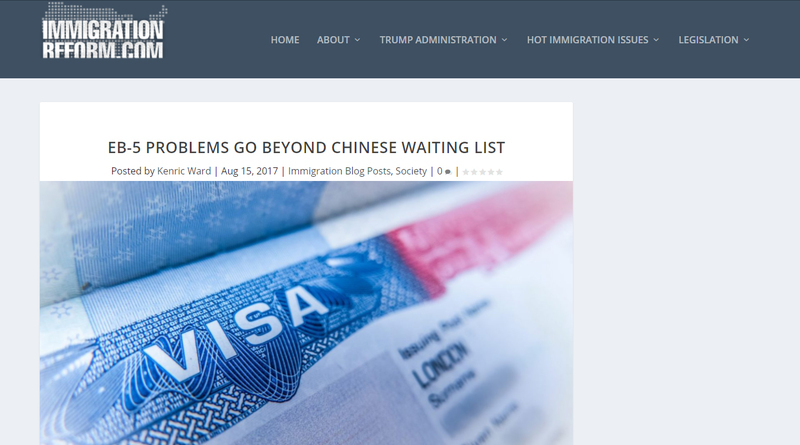 The growing backlog of approved EB-5 petitions now translates into a 10-year wait for Chinese investors seeking to enter the U.S. through the controversial visa program. More than 10,000 approved petitioners await EB-5 visas, with most of the applicants from China. Foreigners get on the path to permanent residency by investing $500,000 to $1 million in purported job-creating ventures here. A market-driven response would simply up the ante. The proposed RAISE Act does that by introducing a cash-based point system; the more an applicant ponies up, the more points he or she earns. For example, an EB-5 seeker would secure six points toward a required 30 by committing $1.35 million. A $1.8 million investment would net 12 points.